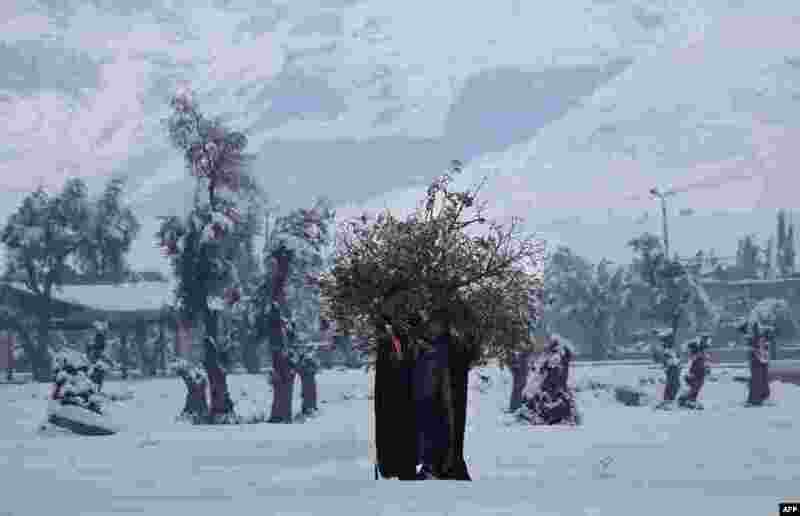 ৫ A Syrian man carries wood for a fire in the rebel-held city of Douma, Jan. 11, 2015. 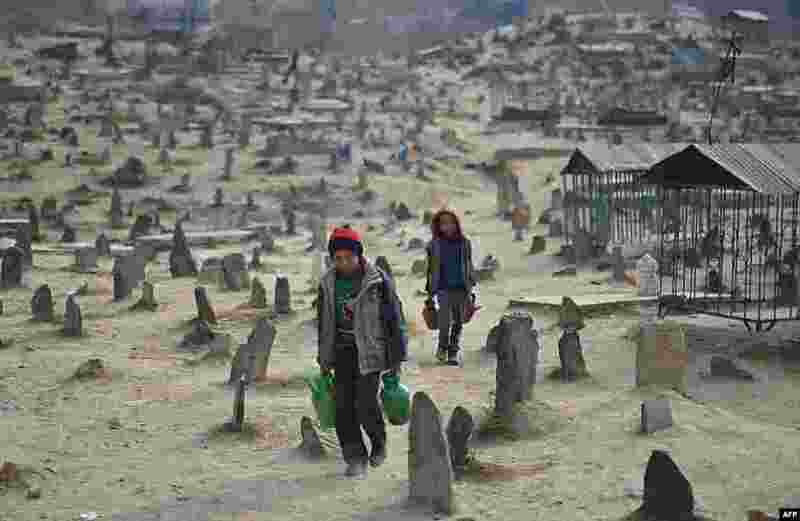 ৬ Afghan children who work as water vendors search for customers at the Kart-e-Sakhi cemetery in Kabul. 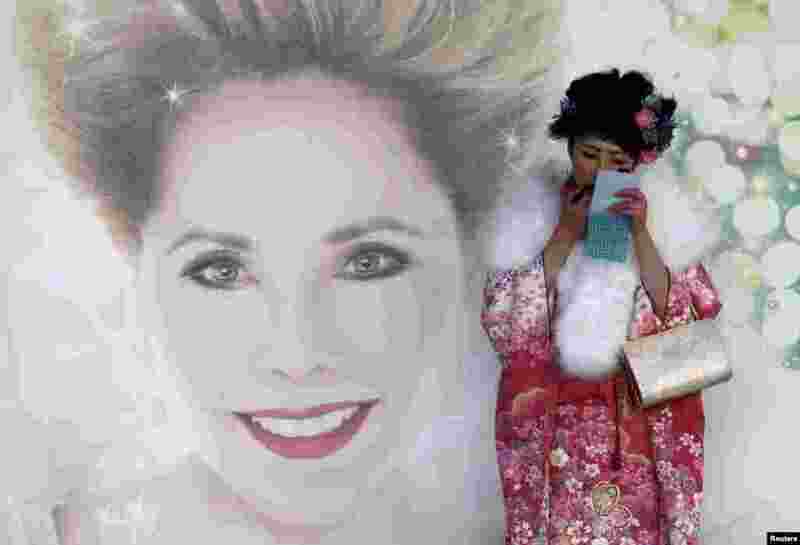 ৭ A Japanese woman in a kimono puts on lipstick on a platform of a train station after a Coming of Age Day celebration ceremony in Tokyo. 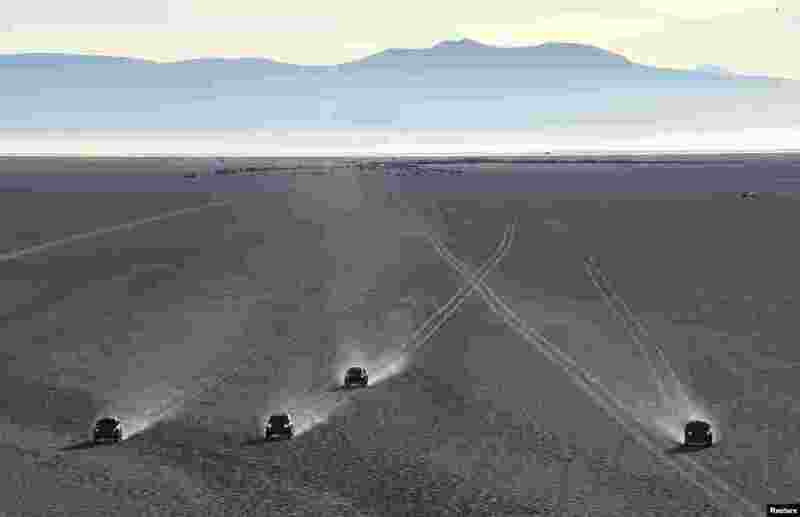 ৮ Competitors begin the 8th stage of the Dakar Rally 2015 on the Salar de Uyuni salt flat, from Uyuni to Iquique, Bolivia, Jan. 11, 2015.